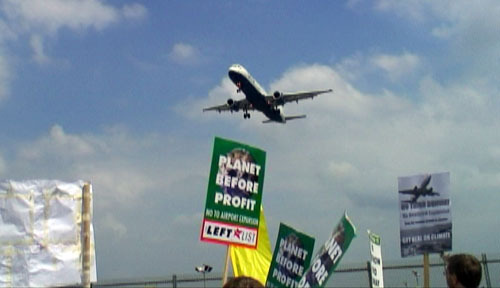 Several thousand protestors marched against the proposed new third runway at Heathrow airport on Saturday 31 May. 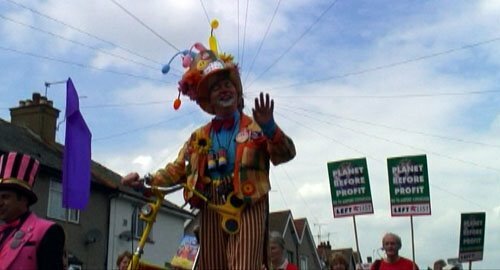 The colourful and carnival atmosphere style march of around 3000 people comprised of environmental and climate change demonstrators, with respresentation from protest groups No Third Runway Action Group (NoTRAG) and Plane Stupid, who appeared in the Guardian newspaper that morning. 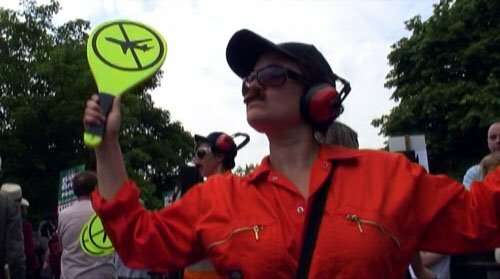 But the main section of people protesting were those directly hit by the construction of the runway, local people from Sibson and Hillingdon villages, whose homes will soon be under runway tarmac, commandeered under the Compulsory Purchase Act. Please contact the author for access to the extensive four-year video archive.